It was listed in the "russias arms 2001-2002" catlog released over 15 years ago.... including images and specs. MOSCOW, November 23. /TASS/. 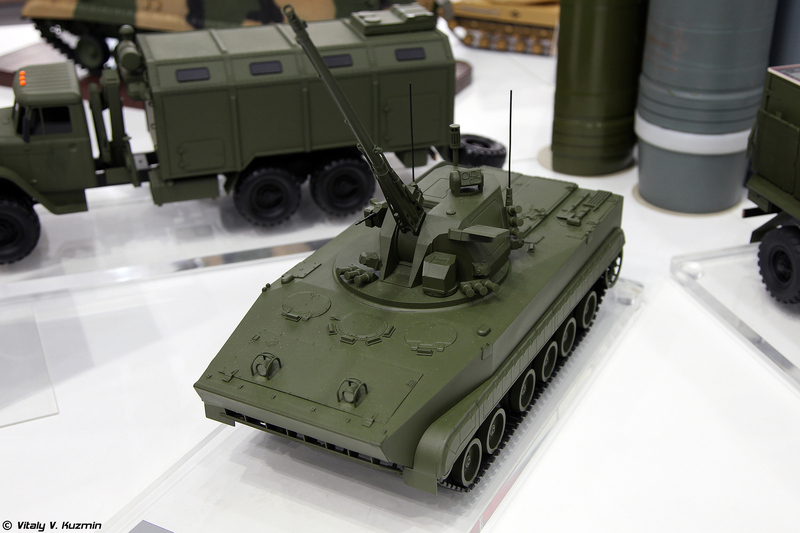 A self-propelled artillery piece Magnolia on an articulated armored tracked chassis is being developed for army units deployed in Arctic areas, the chief of the Defense Ministry’s Missile and Artillery Department, Lieutenant-General Nikolai Parshin said at a meeting of top officials responsible for the material and logistic support for the Russian Armed Forces. "In 2017 alone 30 missile and artillery pieces were adopted for service. Research and development work proceeded on more than 50 missile and artillery projects. At the moment work is in progress on hardware for units deployed in the rigorous Arctic climate. 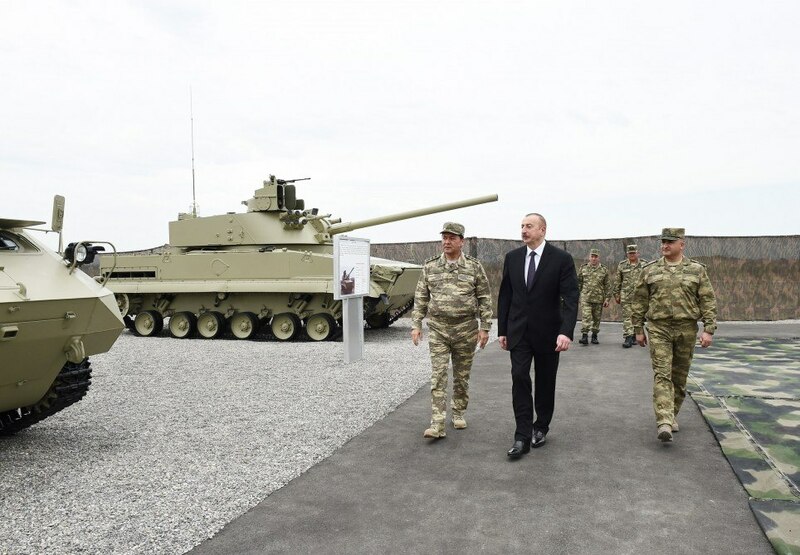 On the list armaments there is a 120-mm self-propelled artillery piece Magnolia on an armored articulated tracked chassis and an air defense missile system Tor-M2DT mounted on the snow and marshland vehicle DT-30MP," Paqrshin said. This is interesting. It means a serious testing of a potential new platform for warfare for the arctic region. 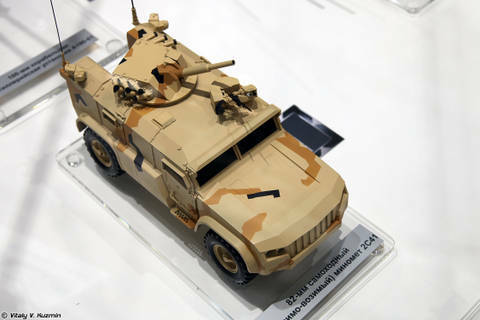 I wonder if they will put a Vena like turret and ammo on one of the vehicle chassis of the DT-30MP vehicle with the crew in the other, or if they will use a new unmanned turret and ammo on one vehicle chassis and the crew in the other vehicle. Bolded and in red the weapons that are a safe bet to be present in the Russian Armed Forces in the future. 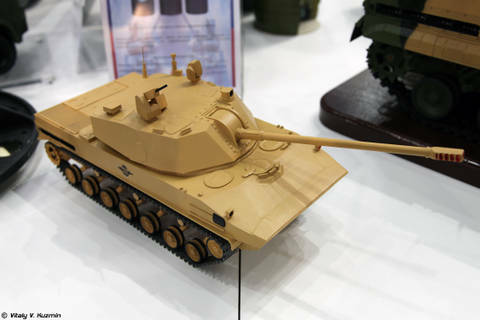 While I do not expect more options on BMD-4M platform, taking into account that they tried a 152mm and likely failed to resist, since the 2S43 we should have a good number of projects on the Armata, Kurganets and Bumerang platforms, that makes many of these to have very low options of going forward in the Russian Armed Forces. The 2S25 Sprut-SDM-1 should have a redesignation. 2S25 makes look this weapon older than it is, and makes look it a variant instead of a weapon on a new platform. The Sprut-SDM1 is not an artillery platform; it has a high-pressure smoothbore 125mm gun. It can no more do indirect fire support than a T-80 can. And '2S37 152mm BMD-4M platform'? I doubt the BMD-4M can withstand the weight and recoil; nor that such a vehicle would be air-droppable. Anti-tank artillery always was considered artillery. In fact even the tanks are also conceptually artillery systems. Would not be the (M)T-12 artillery? There are reports about a failed bid with 152mm weapons on BMD-4M with designation 2S37. Surely the new 2A89 was tested, but the platform was not able to resist. The Russian Defense Ministry launched a large-scale artillery reform. Regiments and brigades are armed with Uragan-M1 MLRS Multiple Launch Rocket Systems, MSTA-SM 152mm self-propelled howitzers and drones. Super powerful weapons - 2S7 Pion self-propelled gun system and 2S4 Tyulpan self-propeled morar systems - are returning. There have been no such large-scale changes in the army in over 30 years. Artillery units considerably expand the range of missions, efficiency, fire range and power. Experts believe modern combat tactic will considerably change after the reform, the Izvestia daily reported. The Defense Ministry told the newspaper it had been decided to radically increase the fire power of artillery units in all-arms (motorized infantry and tank) divisions and brigades. In particular, they will get Uragan salvo fire squadrons. Drones will target the artillery. The Defense Ministry said upgraded Uragan-M1 will replace the current weapons with time. Experts said the packaged loading of the launchers with the help of transportation and launching containers will considerably accelerate the rate of fire. Uragan-M1 is armed also with guided missiles. The automatic control system and onboard computer allows the weapon to destroy targets real-time without human interference. "2S4 Tyulpan and 2S7 Pion advantages are powerful charges that can destroy fortified targets. The experience of the latest conflicts showed that 122mm and 152mm artillery is not sufficiently effective. The charges are insufficient for the destruction of adversary fire points in city buildings and for proper erection of field fortifications," Lavrov said. The Defense Ministry said this year the super heavy weapons will be supplied to other artillery brigades of combined arms armies. A Pion squadron is already operational in the headquarters of the 165th artillery brigade deployed in Amur region. A Tulip squadron operates in the 305th artillery brigade in Primorye region. By the end of the year heavy mortars will be supplied to the 385th artillery brigade deployed in Orenburg region. Besides long-range howitzers and salvo fire weapons, brigades and regiments will receive reconnaissance drones with automatic control systems. The Orlan-10 artillery reconnaissance drone will considerably change combat tactic. The drones were tested late last year. They began to arrive in the troops in the autumn of this year. Drones are an important element of modern warfare. The Orlan-10 can determine the location of adversary counterbattery radars with several-meter accuracy, including portable ones like the American radars AN/TRQ-36. It was logical that at some point the BM-27, 2S4 and 2S7 would increase its presence in the active service. In the other side the most likely exits to the reserve are the towed artillery systems (plus their auxiliary trucks) and the BM-21. - 2S4 in the reserve replacing totally 2B16 Nona-K in active service. - T-72 in the reserve replacing totally 2A19/29 (M)T-12 in active service. An official video of the Ministry of Defense of the Russian Federation demonstrating, as reported, the footage from the exercise at the Luzhsky training ground, where the artillerymen of the Western Military District fired using the modernized guided artillery shells Krasnopol from 152 mm self-propelled howitzers Msta-S. Among other things, it is demonstrated the possibility of projecting Krasnopol missiles from Russian-made unmanned aerial vehicles (apparently of the Granat type), including the shooting of real targets in combat conditions in Syria (previously our bug already paid attention to the relevant personnel). I like many of the concepts especially the wheeled 152mm and tigr variants. I think Russia has been very slow in developing wheeled artillery even Serbia has produced some great examples I wonder if we will ever see it in production. On another concept what's people'sview on double barrelled artillery? I can see the benefits and drawbacks especially on larger guns due to added weight and space constraints. But smaller systems I think they have more benefits than drawbacks. Finlands AMOS was quite good. I think 122mm and under it has good benefits. Obviously 122mm and under lack as much fire power than the larger stuff but with guidance the larger stuff which will likely be firing at greater ranges only need 1 to a handful of rounds to be effective. Smaller calibre are ideally going to be for troop support and employ a shoot and scoot tactic so it would be better to fire off a good amount of rounds in the shortest space of time then scoot. And due to smaller barrels and rounds auto loader etc shouldn't be as bad as a larger gun on weight and space constraints. Guidance rounds could still be used but the standard rounds being much cheaper and firing a a hefty salvo accuracy doesn't have to be pinpoint they would do considerable damage to tanks ifv apc buildings etc. A few examples of systems below if they were double barrelled and firing for 1 minute. Some are older guns that could be useful in this manner mounted on mt-lb or truck. Except for the extra weight of a second gun it makes rather more sense to just carry more ammo for the primary gun. For artillery often getting lots of rounds on target very very rapidly makes a lot of sense because after the first boom everyone hits the ground and gets under cover and so the 3rd or 4th rounds are trying to kill rather well protected targets. Of course for the Russians they used their brains and if that is the issue... ie rate of fire... then a volley of rockets makes rather more sense than tube artillery. The only time multiple guns makes sense is when they are completely different... and offer different capabilities... like a 7.62mm coaxial machine gun with a 125mm tank gun, or a 30mm cannon with a 100mm rifled gun and a 7.62mm MG, or when rate of fire is an important consideration... ie when shooting at small fast moving targets like an AA gun. Two or more barrels increase the spread of shots nicely to increase hit probability and double rate of fire, but is only really practical for smaller calibres... except on ships, you wont see multi gun mounts of more than 50-60mm. Larger than that calibre then airburst shells make more sense because exploding near a target can send thousands of fragments all around the point of aim making multiple hits likely. Actually the Russians have three 152mm calibre weapons in the works... the 152mm Coalition, the 152mm smoothbore gun for armata tanks in the future, and a 152mm airborne calibre... which I strongly suspect is likely a gun/mortar calibre rather than a full power 152mm long range artillery round as fired by coalition. I rather suspect however that for the time being that 120mm gun/mortar, and 125mm tank gun calibres will be good enough and only the long range artillery round will enter service any time soon. Personally I like the D-30 idea with front truck and rear trailer concept... the rear trailer can have an auto ammo handling system and the gun and the front compartment can have the crew and electronics/communications equipment to find targets and work out angles and elevations and propellant charges etc. especially if the rear hull can take the unmanned turrets being developed for the new vehicle families and the front and rear hulls could be wheeled. Firstly I wouldn't nor did I recommend two rifles rifles and artillery two different weapons. You back up what I say only for smaller calibres and rapid rate of fire etc. Apart from the obvious induction of another calibre I thought a double barrelled zis-3 or D-44 mounted on say a truck or mt-lb would be good for mountain warfare or supporting an assault on enemy position a high rate of fire out to a reasonable range. But this would only be viable if you had the guns and ammo already. I liked the serbian soko and sora 122mm gun the sora being a light truck ideal for airborne forces. The soko a two compartment vehicle armoured cab and armoured turret gun/ammo. The Nora B52 152mm has good range and high rate of fire. Wheeled artillery is ideal for mechanised units I never understood why it took so long to come into production even in the west. weight on a vehicle is rather more than a human can carry, but putting an extra main gun on a vehicle adds a lot of weight and complication and takes up space in the turret... not just for the extra weapon but also the extra ammo handling equipment and the extra stabilisation systems etc. The only advantage is an increase in rate of fire... which can be achieved much more easily by other means... specifically using a battery of 6 vehicles firing at a single target at one time. Also with variable propellent charges and as long as the target is not at max range generally rounds can be fired on different trajectories with different propellent loads so they can often fire 4-6 rounds that all land on target at once from one vehicle... with 6 vehicles doing that this 24-36 rounds landing on target at once... having two guns on each vehicle would mean 48-72 rounds landing at once... but more likely would actually mean units of 2-4 vehicles instead of 6. To be honest I don't see the practical value of using multi gun arrangements in larger calibres for the purpose of artillery... it makes rather more sense to use new guided shells and rely on better accuracy than to rely on increased rate of fire. For really big calibres the weight of the extra barrel is going to seriously effect the amount of ready to fire ammo, which is made worse because you also double consumption with two guns. In lighter calibres... like 57mm calibre... again... I think the way forward is not rate of fire bludgeon the enemy type systems... smart air burst ammo and guided shells and dumb cheap shells for lessor targets... 120rpm is a very high rate of fire when you are firing 3kg 57mm shells. For light auto cannon it does make more sense, but even then with Russian systems there are alternatives... I mean if you want to shoot down aircraft you have single barrel guns (30mm 2A42 and 2A72) that could be put in multi gun mounts to make them more effective... but you also have twin and 6 barrel models in the same calibre that are already much better in terms of weight and complication of mounts. Wheeled artillery is ideal for mechanised units I never understood why it took so long to come into production even in the west. Mostly a mobility issue... most combat zones are not expected to have nice modern roads to drive around, so tracked vehicles make sense even though they are much more expensive to operate and maintain... the tactical mobility is what is important. I remember reading about Soviet training exercises where a Soviet air defence unit would be told they have an exercise the next day so they would have to get ready... 2am the alarm is sounded and they go on a 1,000km march to the place they are going to defend.... they did it for all sorts of units apparently. If you didn't make it to the testing area you failed. Like I said previously I totally agree large guns would be better single barrelled using laser guided rounds as they have punch. Smaller calibre guns would benefit as they can deliver a hail of rounds faster then scoot much quicker. Of course you could argue that you could just use 8 guns to achieve what 4 double barrelled systems would. But firstly double barrelled systems would be SP so have an advantage against towed for shoot and scoot tactics ok so what about 8 SP systems against 4 double barrelled systems? Well smaller unit size and less number of troops needed per unit. Also the unit being smaller would reduce convoy size and when deployed minimise unit signature from recce units on the ground and air. It might even fool recce units thinking that you only have 4 SP systems small artillery unit low strength etc but actually you can rain down in quick succession the same as 8 guns. But as mentioned double barrelled systems are only good for anything 122mm and under going over that causes weight and load size so not worth it. And only viable if you have guns and vehicles already. The reason I mentioned the older guns is that many are in storage or used in reserve but many forces still use in front line service so this type of upgrade would benefit greatly on rate of fire and mobility due to being SP. Below is a brief examples of approx weights of double barrelled systems obviously auto loaders weight is unknown but as you can see it wouldn't be above current weight systems. 2S1 weight = 15,999kg round weight = 22kg. Holds roughly 40 rounds = 880kg. A msta-b weight is 6800kg that's wheels mount etc. So for example let's say that's what the gun and auto loader weight would suggesting that mount and wheels would be auto loader weight be, just to simplify things. Which I think wouldn't be far off the actual weight. And likewise D-30 weight (3,210kg). So if we deduct that weight from the current SP systems. So examples of double barrelled systems weights. D-44 85mm 1,725kg x2 = 3,450kg mounted on Msta-S system = 40,010kg, 3,350kg lighter based on size would carry approx 89 rounds = 845.5kg a weight saving of 1,329.5kg. Total weight saving 4,679.5kg. Msta-S system = 38,792kg, 4,568kg lighter based on size would carry approx 100 rounds = 650kg a saving of 1,525kg. Total weight saving 6,093kg. If you were to mount it on the 2S1 system weight savings would be 978kg lighter, would hold 64 rounds and total overall weight saving would be 1,250kg. 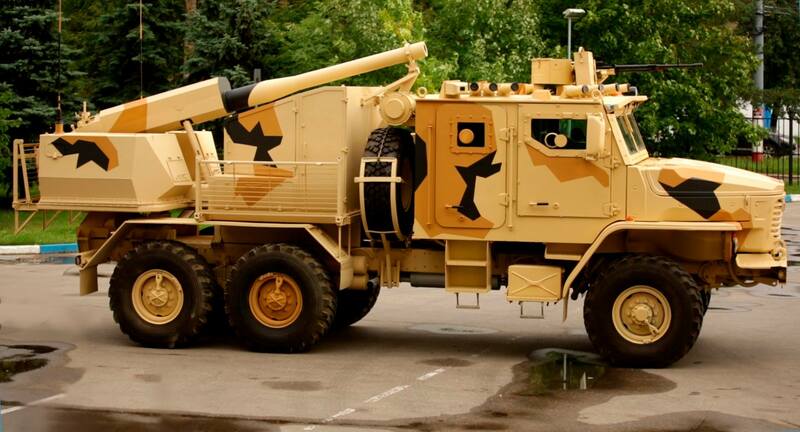 2B9 vaselik 82mm automatic mortar = 632kg x2 = 1,264kg mounted on the 2S1 system weight = 14,053kg, 1,946kg lighter based on size would carry approx 59 rounds = 191kg a saving of 689kg Total weight saving of 2,635kg. If mounted on Msta-S system would be 5,536kg lighter and carry 92 rounds and total overall weight saving would be 7,414kg. Although it's likely that the smaller 2S1 system would be used. 120mm mortar systems based using average weight of mortar systems 120-PM-38, 120-PM-43, 2B11, 2S12 sani. Average weight 238kg x2= 476kg mounted on 2S1 system = 13,265kg, 2,734kg lighter based on size would carry same number 40 rounds but would be lighter 40 rounds = 640kg a saving of 240kg total weight saving 2,974kg. Mountedon Msta-S system would be 6,324kg lighter carry 63 rounds, and an overall weight saving of 7,491kg although it's likely it would be mounted on the smaller 2S1 system. Anyway it gives you the rough idea that it could work. You also use BS-3 & T-12 100mm guns get the best of both worlds. Double barrelled artillery systems and double anti tank gun loooool. You could even load one barrel with HE frag or HEAT round fire first followed by another HEAT or APFSDS or better a bastion missile a second after the first round. First round destroys ERA or hard kill system gets it but not quick enough to target second round. But generally speaking I don't suggest double barrelled tanks but this would be a bonus to using these guns in a double barrelled artillery system. Another system which would be great to see self propelled although recoil and self loading system would have to be designed or the current tulpan design be used is the 160mm mortar system. Being SP would help with mobility and set up times but if it was self loading it would reduce crew increase rate of fire greatly. Although 2-5 rounds of 40kg would be enough for most targets. Of course laser guided would be better and of course this would only be a good upgrade if you have the mortar already. Although Georgia still make the mortar and rounds if you wanteda heavy mortar system. Maybe this is an idea for Georgian defence companies to offer a SP self loading 160mm system. MT-LB and T-54 and actually thought it was a good idea. The BM-14 is another old system that could still be useful with basic upgrade. 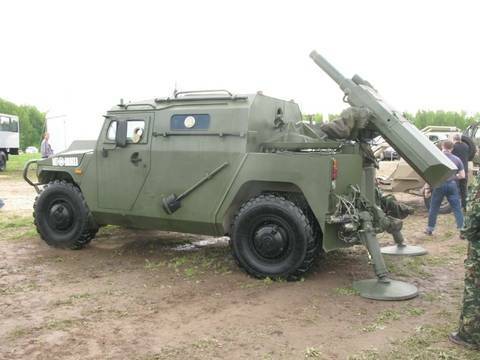 On other point to make a double barrelled 2B9 vaselik 82mm automatic mortar system would also be useful in anti armour/building/direct fire support role. Out to 1.5km 2km max. Firing anti armour rounds of 100mm penetration more than enough for light armour small buildings etc. But if used in conjunction with a ATGW system or team the 2B9 vaselik could fire a quick burst of two clips 8 rounds (double barrelled) at a MBT destroying optics and sensors and ERA blocks paving the way for ATGW missile to deliver the killing blow. Just a thought. What about a double barrelled large anti aircraft gun like 85mm & 100mm. A sort of double barrelled Iranian Sa-ir (radar guided automatic fire control self loading system) that's hell a lot of proximity fuse HE frag out to range of 15km. The sa-ir has 4-5 ready to fire rounds double it to 8-10 or designed a SP system with better self loading you could get much more. And add option of EMP rounds. I wouldn't be surprised in the future that artillery units will carry a small radar and some proximity fuse rounds to engage helicopters drones and slow moving aircraft as a means of air defence. The day for mounting a hmg for the role is useless and not effective. Anyway conclusion smaller caliber systems yes for double barrelled systems larger than 122mm it's a no go. Better with laser guided rounds. The thing is that there are other ways of doing it better. On a big gun having two means extra weight and recoil and complication... in my opinion it would make better sense to develop a fully automatic reloading system and ammunition handling system... you can have two standard 120mm mortars in a vehicle like that AMOS system... but to be honest what performance advantage does that give? AMOS gets something like 12-16 RPM rate of fire... well Vena gets 10 rpm with one gun, so what would be the point really? If you are after point targets then rate of fire is not important. If you want suppressive fire then you are better off with 122mm rockets, or taking a different tack... a single Vasilek 82mm mortar modified to belt feed... it fires at 100-120rpm... one barrel is plenty. Lashing guns to vehicles is not recommended... and worse with guns that don't already mount together. A twin 23mm gun mount makes sense because they already come in twin mounts and for anti aircraft use the extra gun is useful... against a ground target the ground target wont know whether one gun or two are firing and it really wont bother them if you only shoot one... so why bother adding a second? In the case of the 57mm guns most are single barrel weapons so leave them single barrel unless you get a ZSU-57-2 twin barrel mount...lucky you. I am not saying you can't do it... I am saying you would be stupid to try... it is a pointless exercise. It is just like fighter planes these days have one or two engines... how many have four or three? Congratulations... you just made a 122mm calibre gun vehicle that weighs as much as a 152mm gun system... except the 122mm shell is half the weight of the 152mm shell so despite increasing the rate of fire you halve the shell weight and drastically reduce firing range with a heavy vehicle and for what? So you can shell an area with slightly more shells? Using your own numbers you could have just gotten three 2S1s to shell the target without building a whole new vehicle... remember both these vehicles have automatic rammers but are basically hand loaded... unless you have two hand loaders do you think rate of fire will increase or will it stay the same... or even get slower? No... it makes it pretty clear why those older rounds are obsolete, and why MSTA is so cool. Just looking at barrel weight means nothing... it would be more useful just to develop an autoloader for the smaller calibres and increase fire power by increasing the speed of the autoloader than adding a second gun. You could even load one barrel with HE frag or HEAT round fire first followed by another HEAT or APFSDS or better a bastion missile a second after the first round. First round destroys ERA or hard kill system gets it but not quick enough to target second round. But generally speaking I don't suggest double barrelled tanks but this would be a bonus to using these guns in a double barrelled artillery system. The vibration and recoil from the first shot will mean the second shot will hit a different ERA brick so whether the first round penetrates or not is not important... get double barrel artillery out of your head... it is nonsense. Vasilek fires at 100-120rpm... WTF do you need two barrels for? Just put the thing in a Tigr with a small turret and belt feed... who needs two barrels? Again why two barreled? You do know you can make them simple and single barreled and use two or more against one target... in fact that would be more effective most of the time. Sorry, I don't agree. multi barrels for small calibre high velocity cannon like 12.7mm, 14.5mm, 23mm, and 30mm, but from 57mm up airburst rounds and guided rounds make rather more sense. Twin barrel 100mm guns don't make any sense... guided shells and simply aiming directly at the target give good enough accuracy most of the time. In accordance with the decree of the Government of the Russian Federation No. 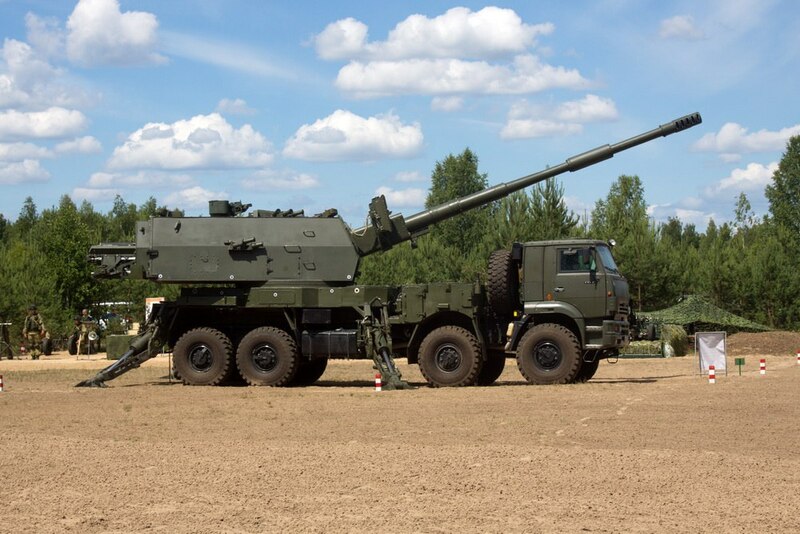 2461-r, signed on November 8, 2017, the Ministry of Defense of the Russian Federation must forward to Roshydromet 68 122-mm D-30 towed howitzers to ensure the operation of the anti-avalanche service. Also, 68 individual and 8 group sets of spare tools and accessories for them, and 4,500 high-explosive artillery shell shots of OF-462, must be transferred. Financial provision of costs associated with the implementation of the order will be implemented within the budgetary allocations provided by Roshydromet in the federal budget for the implementation of the state program "Environmental Protection" for 2012-2020. " The addition of bmpd. 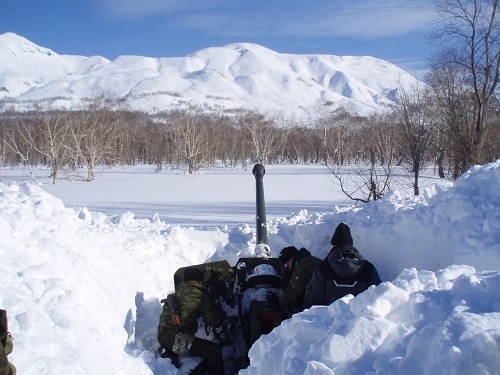 Up to now, 100-mm KS-19 anti-aircraft guns and BS-3 field guns, as well as mortars of calibres 120, 160 and 240 mm, were used to equip the Roshydromet anti-avalanche service, and one 152-mm 2A36 "Hyacinth-B" cannon is used in Kamchatka. , and D-30 howitzers were absent. Roshydromet is a federal executive body under the jurisdiction of the Ministry of Natural Resources and Ecology of the Russian Federation. eehnie wrote: Then, this mean an exit of these pieces of the Russian Armed Forces, to go to a gouvenrmental agency that will use them for civil purposes, not military. In fact this is a decommission. Also very likely this mean the retirement of the gouvernmental agency of the weapons used before for this purpose, that likely have been going, or will go fast, to Syria. 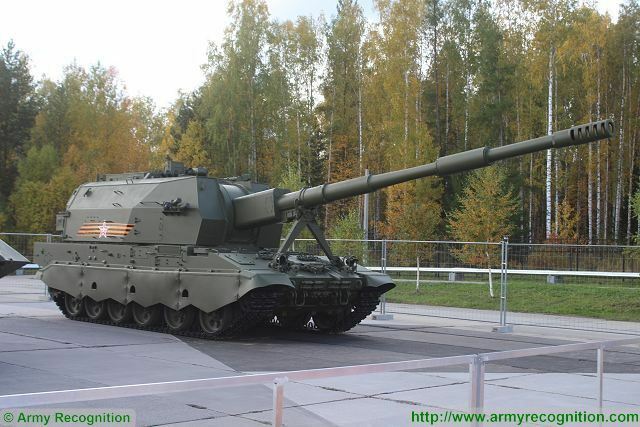 Taking into account that the 152mm and 122mm artillery pieces are between the armament that I would consider of exclusive use of the Russian Armed Forces, it would be logical if Russia considers a militarization of the service of these weapons for this purpose. I would say that this is a decision for the short/mid-term. The armament used for this purpose likely will evolve to man-portable 120mm mortars. The Russian Armed Forces are re-activating heavy artillery. 203 mm 2S7M Malka self-propelled howitzer and 2S4 Tyulpan 240 millimeter mortar vehicles will be removed from storage and delivered to the army after overhauling. In this context, the Central Military District in the Kemerovo Region received 12 units of 2S7M. In the statement, it was stated that the vehicles were heavily overhauled and inner surfaces of the barrels were restored, in addition, system is linked to the 1V12M command vehicle. Vehicles are also integrated with GLONASS. Maintenance work is carried out by Titan-Barrikady enterprise based in Volgograd. 2S7M, produced in the Soviet Union period, can fire ammunition which contains 17.8 kilograms of explosives and weighing 110 kilograms together with propellant to the 37.5; rocket assisted ammunition containing explosives 13.8 kilograms to 47.5 kilometers. The platform can also fire nuclear ammunition. The 2S4 Tulpan produced in the Soviet Union can send 130 kilograms of ammunition to 9.6 or 19 kilometers. MOSCOW, September 28. /TASS/. Russia’s research and industrial concern Techmash (an affiliate of Rostech) is working on the concept of a new 152-millimeter correctable trajectory shell for artillery pieces, the concern’s deputy CEO Alexander Kochkin said adding that the project had no name yet. "Currently we are the drafting terms of reference and image of this new type of ammunition. I reckon we will get down to research and development in the near future. It will be a new 152-millimeter correctable trajectory shell for artillery pieces. The project has no name yet," he said. "At high rotation speeds, up to 30,000 rounds per minute, optical instruments are useless. The image is blurry. Solving this problem will be a rather tricky task," he added. "They will be cheaper than guided shells of the Krasnopol type, but more expensive than ordinary shells," he said. Research into the new type of ammunition is absent from the state program for armaments, so Techmash will push ahead with research at its own expense.